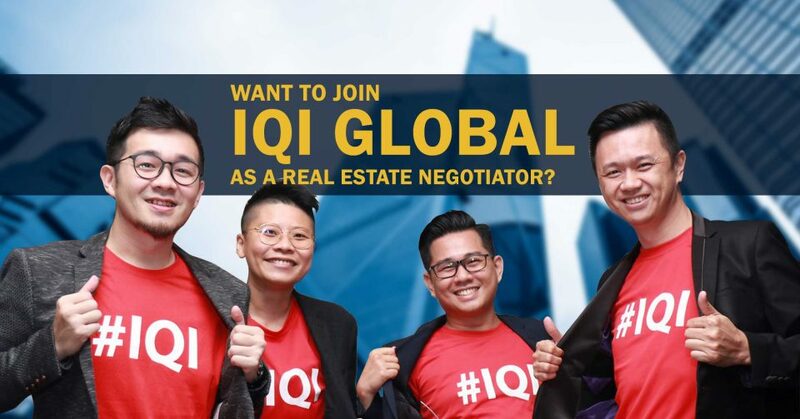 If you have ever wanted to be a realtor (to be precise, a Real Estate Negotiator), here’s your opportunity to be part of the best: IQI Global. The name IQI stands for International Quality Investment. As the name suggests, it’s more than simply buying and selling properties: it’s about helping people realise the value in their investment. That’s what attracts successful realtors to be part of IQI. Established in Dubai in 2011, this international real estate company now operates in many countries including Dubai, Australia, New Zealand, Thailand, the Philippines and of course, Malaysia. At IQI, realtors enjoy the use of cutting-edge technology. Its IQI Cloud offers realtors the latest information on all the development projects across the IQI world. With IQI Atlas, realtors can see what they have sold, and what commission they have earned. And it’s all online. On top of that, there are numerous training courses to get you up to speed. Those who do well can earn enormous rewards. The company invests greatly in helping every person keen to join the property industry, become successful. This is important if a newcomer has never before been in the property industry. At IQI, you are never left to your own devices to sink or swim. There are SO MANY people to help you every step of the way. Traditionally, real estate negotiators buy and sell people’s properties. That’s called subsale. However, many team leaders at IQI are keen to focus on projects, and if you are with them, you’d understand why. There are properties that have been launched or are under construction. At IQI, you get to handle the latest projects by all the major developers in the country, and in all the major cities. This is an amazingly lucrative opportunity that you would not get if you joined a smaller real estate company. Traditionally, real estate negotiators handle a transaction from end to end. While this is also possible at IQI, over here we practise something called the “Buddy System”. An IQI realtor can pass a lead to an area specialist to close, and split the commission. This allows realtors to focus on specific areas or projects, gain knowledge and expertise that will make him a valuable asset to the team. This opportunity is open to all. By this same system, a realtor can pass a lead to another realtor in a different city. That’s how one agent is able to sell a million-ringgit condo in Kuala Lumpur, without being in Kuala Lumpur. At IQI, realtors can sell properties from all over the world. They are not limited to their own city. Where else can you get such a worldview? One of IQI’s star agents is Timothy Tye, or Tim for short, who is also the owner of www.penang-traveltips.com and www.timothytye.com, two major real estate information websites. He decided to become a Real Estate Negotiator with IQI Global because it was in alignment with his passion to use information to help people make informed decisions. As with all things he does, Tim doesn’t think small. He wishes to create a team of real estate negotiators who can provide property investors with the type of services they deserve. As it happens, IQI has the infrastructure to make this possible. But he needs more team members, and that’s why he is reaching out to you. If you have ever wanted to be in the property industry, we invite you to join us. Even if you are a complete novice, it’s fine. Training is provided. But don’t expect anything worth doing to be easy. Remember: we are selling properties – a source of people’s dream homes and future happiness. So it’s something to be taken seriously. If you are already a real estate negotiator, we welcome you to join us. There is so much that we can do together. Just fill our the form below.